Leslie: ...You gotta admit, she's a sociopath. Gayle: Is that anything like a psychopath? Leslie: With a lower body count, yeah. John Sayles, always an intriguing filmmaker, has come up with yet another conversation-starting film in "Casa de los Babys," a subtle exploration of the great divide that separates the haves from the have-nots in this maddeningly imbalanced world of ours. Sayles sets his story at a "hotel" in South America, one designed to cater specifically to American women who are waiting to adopt children to take back with them to the States. Due to bureaucratic red tape, many of the ladies Sayles introduces us to have been holed up in the hotel for months. Except for contact with the resort staff and the occasional foray into the local neighborhood, the women are essentially sealed off from the cultural and socioeconomic realities of the world around them. The thing that separates Sayles' work from that of so many other socially conscious filmmakers is that he is scrupulously fair in his approach, refusing to pigeonhole any one group of people while allowing us to see the imperfections and humanity inherent in those on both sides of the divide. It would have been so easy for him to have portrayed the women as merely spoiled Americans, exploiting the poor of the world for their own selfish benefit. Indeed, one of the men who helps run the hotel decries the ladies as gringo "imperialists," looking to buy Hispanic babies as if they were strolling through the local market. Yet, his mother, who manages the resort and who also resents the imperialistic tone of some of the women, is pragmatic enough to know that this is a "business" like any other, and that the alternative for many of these orphans would be far grimmer if they were forced to fend for themselves out on the streets. In fact, the children in the facility, who are well cared for and who have some hope for the future, are in direct counterpoint to all the youngsters we see who are living in cardboard boxes, forced to wash windshields, beg from tourists, or steal to survive. Of the American women, the most interesting is Nan (beautifully played by Marcia Gay Harden), who is the most obnoxiously pushy and least culturally sensitive of the group. We get the feeling that the moment she gets her hands on her new child, she will go to work draining every ounce of ethnicity from his or her soul and spirit. The other women are all far more open and tolerant than she is, being mainly concerned with filling that childless void located deep within themselves. The film is, in large part, a series of revealing conversations, in which the women voice their fears, concerns, visions and hopes about life as a parent. The movie does an interesting job conveying the universality of motherhood, for despite the economic and language barriers that separate them, both the women yearning for babies and the women being forced to give their babies up for adoption are able to meet on the common ground of maternity. In addition to Harden, there are excellent performances from Mary Steenbergen, Lili Taylor, Daryl Hannah, Maggie Gyllenhall and Susan Lynch as the American women, and Rita Moreno as the hotel manager who understands how the world works even if she doesn't fully approve of it. Each actress manages to create an interesting, fully realized character out of only a limited amount of screen time. If there's a criticism to be leveled against the film, it is that Sayles leaves a few too many loose ends hanging at the end. 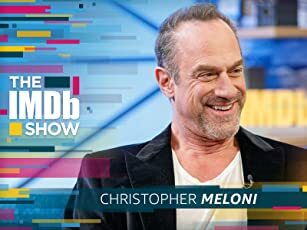 As a storyteller, he has never been all that interested in conventional narrative, so this shouldn't surprise us, but we do sense that he could have gone a bit further with his characters here. 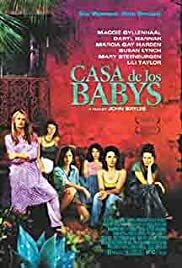 As it is, "Casa de los Babys" feels somewhat incomplete, more like an exercise - albeit a fascinating one - than a full-fledged drama. Still, for its clear-eyed, three-dimensional and nonjudgmental take on a tricky subject, "Casa de los Babys" is a film well worth seeing.